What should be my first post for 2011? I guess I'll start the year with a recipe that is mind-boggling. A few months back, I invited a couple of old friends and my brother to my usual Sunday experimental cooking session. My brother was mentioning that he missed the olive taste of the Mediterranean Rolls that I made a while back and he requested that I should remake it again. My bro and I sometimes think of the weirdest ideas. This time, we thought of incorporating beer into bread. We went to search online if this combination is actually feasible. To our amazement, there are quite of few available recipes out there. What is more surprising is that the recipe does not require any yeast. This means you don't need to wait to let the dough rise and kneading is not required. Simply mix all the ingredients together and pop it in the oven. The results are just amazing. The bread is astonishingly moist and it has this yeasty flavor from the beer. This is a quick bread to make, it only requires 10 mins of your time. Try it out, your guests won't be able to believe it! 1. Preheat oven to 350F. Grease and flour a loaf pan. 2. In a large bowl, combine and sift flour, baking soda, baking powder and salt. 3. 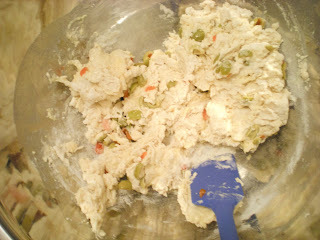 Add in egg, beer and olives. Stir the batter until combined. Transfer to prepared pan. 4. Bake for 40 mins or until it passes the toothpick test. Remove from pan and let it cool before slicing. hi victor, this is really interesting, beer in bread! will my guests get drunk after eating this bread and start throwing all my plates and cups on the floor? ha! hahaha Lena! No the alcohol evaporates during the baking process, so you don't have to worry about your guests getting drunk. Good, beer in bread is good!! Bravo! 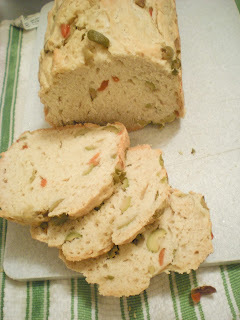 I love beer bread - great idea to add olives! victor your bread looks very beautiful and divine! I love quick bread. Beer and olives must have added extra flavours to the bread. Oh, yum! 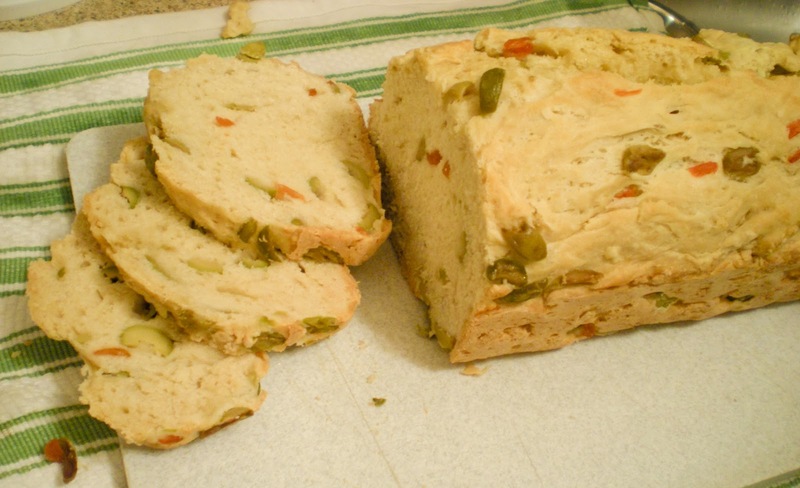 I love beer bread and have a great basic recipe for it. My husband loves olives so I bet he'd love this. I also have a friend who loves my beer bread, he'd probably like this too! Consider it bookmarked!